Perioral dermatitis is a condition mainly found on the face, around the mouth. It can also appear around your cheeks, nose and eyes. It affects mainly women, aged between 25 and 45 years. It can affect men, children and the elderly, but is much less common. It is thought that there could be a future increase in male sufferers. There are some suggestions that some facial creams, like moisturisers, can make the condition worse. As more men now use these products, the risk of developing it increases. The main symptom is small red spots. The skin around the spots can look red and inflamed. If there are a lot of spots together then a larger area of your skin can look very inflamed and sore. The affected area can feel like it is burning, and may have a stinging sensation. 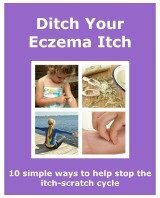 It doesn't tend to be itchy, so that is different from eczema.This condition can look like some types of eczema. It is important to get the correct diagnosis before treating the rash. Using the wrong medication could cause the condition to get worse. There are a few things that may cause an outbreak. It would help to treat and manage your skin if you are able to pinpoint what has triggered the condition. Take note of the products you use, and when a rash appears. It is recommended that you stop using any creams, lotions and ointments on the affected area. Preferably as soon as it appears. There are a couple of things you can do that can help to alleviate the problem. They are a simple perioral dermatitis treatment. You can do them in addition to the medication prescribed by your doctor. Perioral dermatitis is normally relatively easy to treat and manage. After finishing a course of antibiotics the condition may return. Then the same steps can be taken.